After ten years of strengthening technique, discovering nuances, and playfully exploring the sonic possibilities of the sax, Håkon Kornstad finally has released his own solo effort in Single Engine (Jazzland, 2007). — I think in the past I really wanted to try every imaginable style, every form of music, Kornstad says about the recording. And I did. With this album, I feel for the first time that everything has come together and allowed me a greater range of expression than what I had previously, in that I’m not bound to any one style, but have gone beyond that and now am forging into another – one that’s entirely my own. In the 10 tracks on the album we are taken from a myriad of sounds – from the sax, to the home made flutonette, to electronics – which shows the driving force of Single Engine gaining momentum, clearly tied together with an impeccable artistry and Kornstad’s willingness to explore. After a decade of collaborations and as sideman, he comes fully into his own and invites you to hear what he’s discovered. 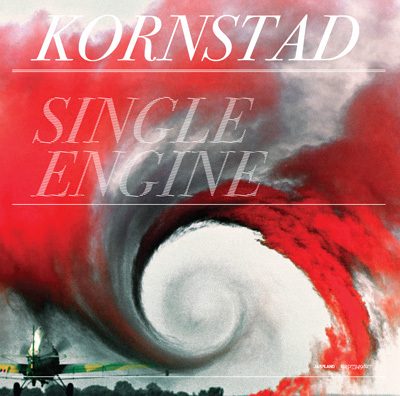 With the culmination of his past, Kornstad is now firmly placed in the future, and Single Engine is certainly the driving, propelling force that will at last gain him the recognition for his own individual vision. Solo saxophone recordings are hardly new in the jazz canon, but you'd be hard-pressed to find one like Kornstad's Single Engine. Dann hat man die besten Gründe, neben Trygve Seim noch einen zweiten großen Saxophonisten aus dem Norden in der Nach-Garbarek-Ära zu begrüßen (...) konzentrierte, abwechslungsreiche, überraschungspralle Soloplatte von großer Souveränität. A Beautiful and impressive statement.